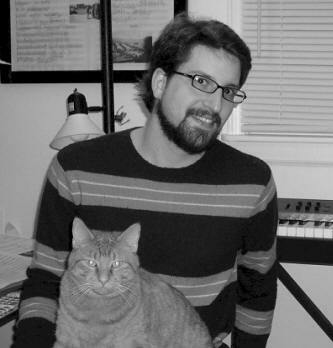 Philip Schuessler received his bachelors degree in composition at Birmingham-Southern College and his Masters Degree from the University of Miami. His teachers have included Charles Mason, Dorothy Hindman Dennis Kam, Keith Kothman, Dan Weymouth, Sheila Silver, and Daria Semegen. He has had works performed by notable artists such as the New York-based Goliard Ensemble and cellist Craig Hultgren, and he has had works performed at notable venues such as June in Buffalo Festival, the University of Tennessee at Chattanooga New Music Symposium, Birmingham City Stages Festival, Festival Miami at Florida International University, the Czech-American Summer Music Workshop at Florida State University, the Elliott Carter/Oliver Knussen Chamber Music Intensive Workshop at Carnegie Hall and the CCMIX Summer Intensive Course in Electronic Music in Paris. He was most recently a participant at the MusicX Festival in Cincinnati, Ohio and the Ernst Bloch Music Festival in Newport, Oregon. His electroacoustic music has most recently been recognized in France by Elektrophonie's NuitBleue Music Festival, the Bourges Residence and the Society for Electroacoustic Music in the United States (SEAMUS 2005 & 2006). He is currently working towards a PhD at the State University of New York at Stony Brook. He attributes the work of New York School composers, particularly Morton Feldman, as having a profound influence upon his compositional output. Current compositional research involves the exploitation and emergence of silence as an inherently musical, timbral and structural device. The use of electronics as a resource for pure, visceral sound material is in the tradition of Luigi Nono and spectral music techniques.